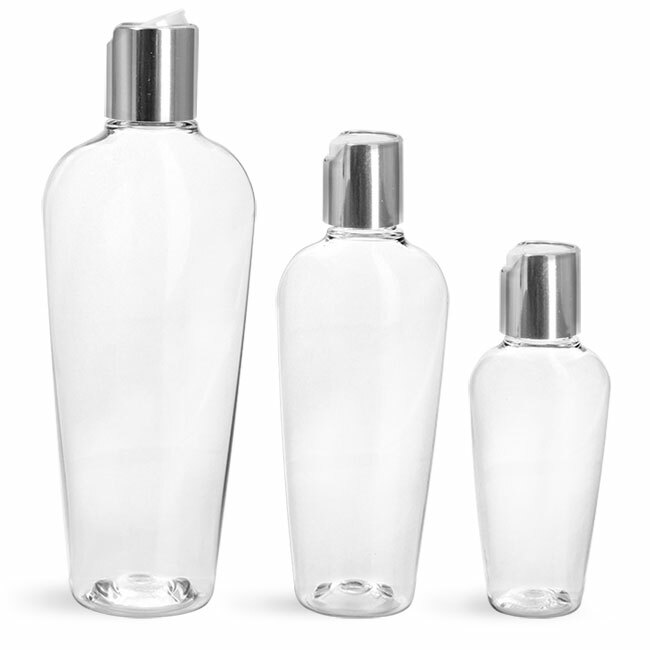 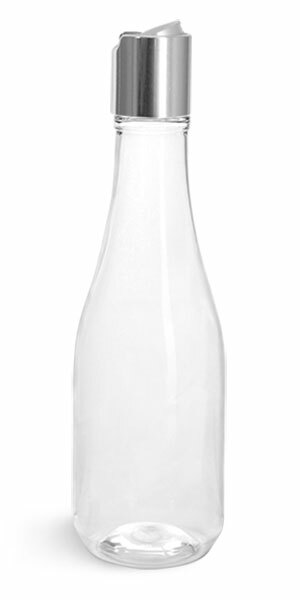 Our PET plastic bottles and jars could be ideal for your line of hair care products. 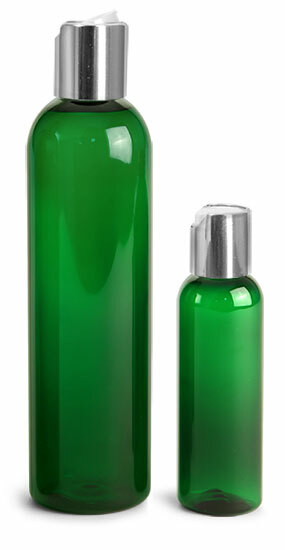 Try using our cosmo and boston rounds with disc top caps as conditioner bottles or shampoo bottles. 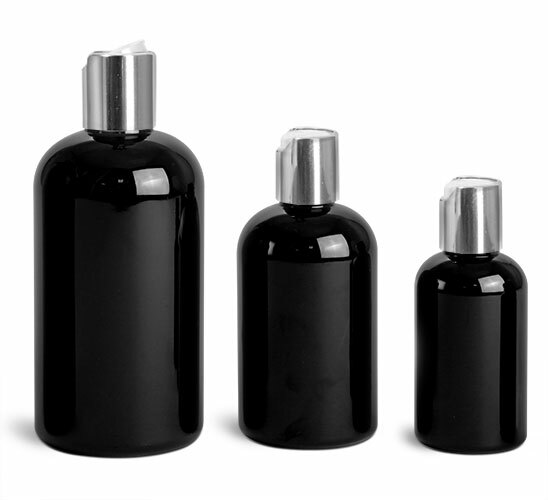 Disc top caps allow the user to cleanly dispense the hair care product inside. 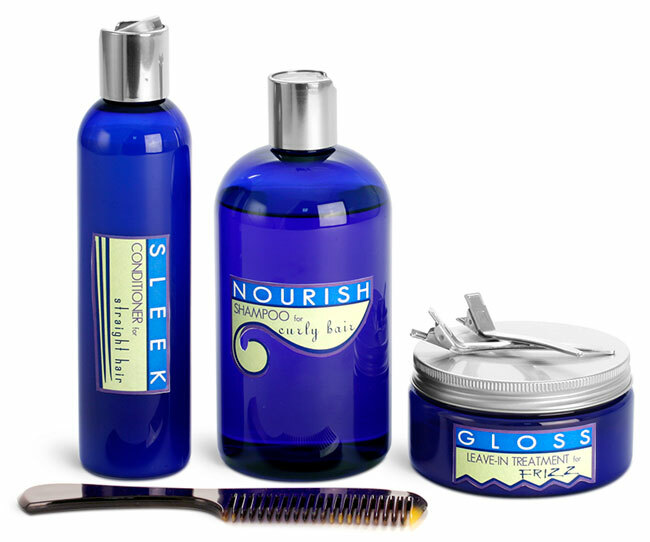 The blue PET heavy wall jars could be ideal for hair treatments, leave-in conditioners and more. 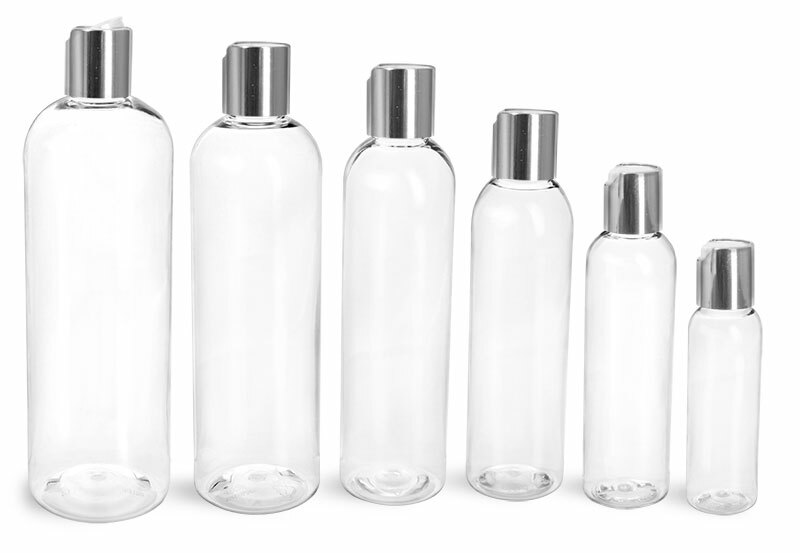 These plastic jars have wide openings making it easy to access the product and are available with a variety of closure options.